Gov. Arnold Schwarzenegger Not Getting all the Facts When It Comes to Replacing Stenographic Court Reporters With Digital Audio to Save the State Money. VIENNA, Va., Sept. 2, — In a press conference yesterday, California Gov. Arnold Schwarzenegger pointed to a number of missed opportunities that could have saved the troubled state $2.8 billion annually. Included in this list was the wholesale removal of stenographic court reporters from the state’s courts in favor of electronic recording, which he suggested would result in $100 million of annual savings. As is so often the case when states begin searching arbitrarily for areas to cut the budget, Gov. Schwarzenegger is short on the facts when it comes to the cost savings of replacing stenographic court reporters. More important than even its budget, California hardly can afford – as no state can – to begin taking action that could compromise the integrity of its judicial process and, ultimately, the state’s criminal justice system. What happens when states begin looking for places to cut budgets, according to Sonntag, is that they love to look for places where technology can replace perceived antiquated processes and bring windfall-type savings. While it’s a nice 10-second sound bite for a governor, it doesn’t, in this case, square with reality. The truth is that if courts are looking for the most advanced technology for capturing the court record, they must look to stenographic court reporters. If courts are looking to lower their costs, the truth is they need to look to the court reporters as a resource, who generally pay for their own equipment and continuing education, and who, as experts on making the court record, themselves can point to efficiencies the courts might consider to reduce costs. What states don’t consider is that there is a substantial cost to installing digital audio equipment. What states don’t consider is that you need technical expertise within the court system that does not now exist to service the digital audio recording systems and maintain them. What states don’t consider is that they need to pay people to turn the audio system on and off. Most importantly, what states don’t consider is that, at some point, people are going to want transcripts of the court proceedings, which is another hidden cost that states often don’t think about. That’s where digital audio can fail miserably and a court reporter will protect the integrity of the court record every time. Said Gov. 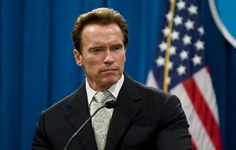 Schwarzenegger: “We have electronic court reporting, 100 million dollars. We do not need any people there. We have the technology now to do the reporting and the recording.” No, California will NOT save 100 million dollars by replacing court reporters. Yes, you DO need people there, and not just any people, but stenographic court reporters. No, you don’t have the technology to do the reporting and the recording that would provide the level of integrity to the court system that the citizens of California and its entire judicial system deserve. The National Court Reporters Association (NCRA) is a 21,000-member professional association that promotes excellence among those who capture and convert the spoken word to text and is committed to supporting every member in achieving the highest level of professional expertise. NCRA is internationally recognized as being the premier educational and informational resource for its members and the public. NCRA members, who include official and freelance court reporters, broadcast captioners, CART (Communication Access Realtime Translation) providers, and Webcasters, are recognized by both the public and private sectors as ethical, well-educated, highly respected, and technologically advanced professionals. For more information, visit www.ncraonline.org.